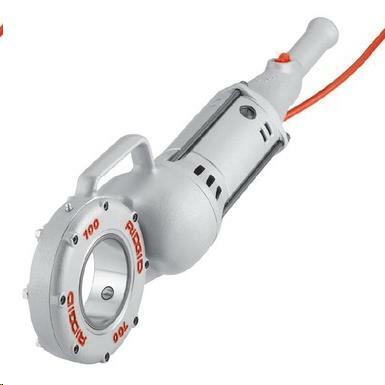 Capacity: 1/8" - 1 1/4" Pipe (6 - 50 mm). 1/4 "- 1" (8 - 25 mm) Bolt (using 00-RB Die Heads). Length: 28 1/4" (71.7 cm). Gear Head: Spur gear reduction face gear drive. Spring-loaded adapter pawls. Hardened steel spindle gear. Die Heads: 12-R. Other Die Heads with adaptors: 00-R, 00-RB, 11-R.
* Please call us for any questions on our pipe threader power hand held rentals in Chagrin Falls, Cleveland Heights, Eastlake, Elyria, Lakewood, Lorain, Mayfield, Brunswick and Painesville OH, serving Northeast Ohio.